If you are in the process of converting a gasoline driven car to run on electricity, here’s a key thing that you must understand. Driving a pure electric vehicle (EV) is not similar to driving a conventional gasoline driven car. The key difference is the drive mileage. A normal automobile is limited by the amount of gasoline in the tank. When you run low on gas, you can always fuel up at the nearest pump station. Large oil corporations have invested on thousands of refueling station around the country. Therefore, the drive mileage of a fossil fuel powered car is virtually unlimited. Driving an EV is very much different. The power for the electric motor is stored in the deep cycle battery. If you were to run out of power, finding a power outlet to recharge will be a challenge. Usually, an electric vehicle has to be charged from 8 to 10 hours. Therefore, an electric car drive mileage is limited by the amount of power in the battery. An electric car can still be a practical family vehicle. All you need is to plan your every journey carefully. If you need a vehicle just for short range commute, an EV will do just fine. 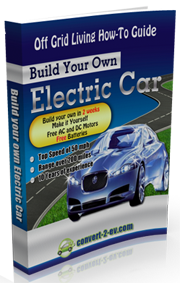 If you are keen to find out more on how to convert a gasoline driven car to EV, check out of EV Conversion Guide review at http://www.cbelectriccar.com. Thanks for your nice article and sharing its really helpful.